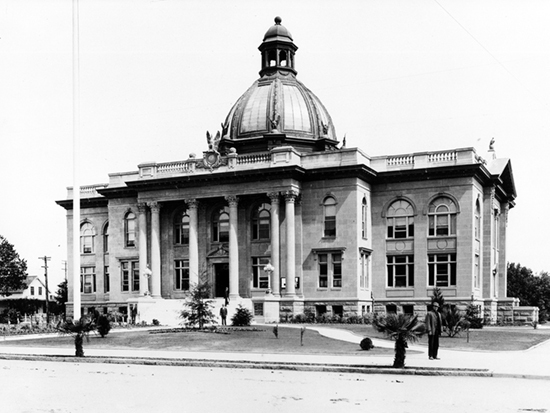 The fourth and grandest of San Mateo's courthouses was built on the site of the second and third, which were destroyed in the 1906 earthquake. It was here in Redwood City in 1931 that the colorful jurist George H. Buck decided the Flood Estate case, a battle over the estate of a wealthy financier and philanthropist that gained national attention. The Roman Renaissance building was turned over to the San Mateo County Historical Association in 1997 and is listed on the National Register of Historic Places.